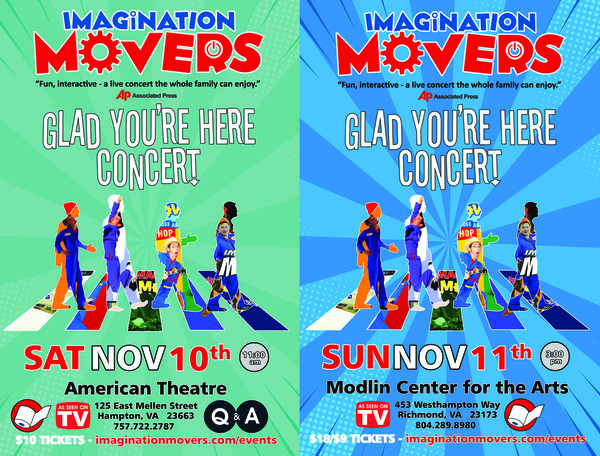 Come see the Movers perform in Hampton, VA on 11/10 at 11 am at the American Theater. Admission is ONLY $10 and M&G passes are available. The Movers then are heading to Richmond, Virginia on 11/11 at 3 pm to play the Modlin Center for the Arts. Expect some flying toilet paper, ginormous balloons, guitar solos, and lots and lots of fun at this top-rated, family-friendly show. 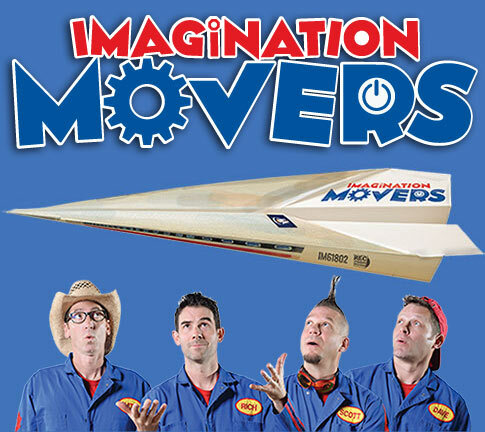 And a first - in Richmond - the Imagination Movers will do a Q & A after the show so come prepared. Ticket prices are very affordable with Adult tickets priced at $18 and kids 12 and under at $9. Don't miss this wonderful opportunity - get your tickets now.